Ensure You and Your Home Stay Warm In The Cold! | J.J. McLellan & Son "
Ensure You and Your Home Stay Warm In The Cold! The good people at Lennox have offered some excellent tips to “Stay Bold Against The Cold” in their recent Comfort Matters post! Check out their great tips for you and your home to stay warm in this cold winter weather. As always please remember to ensure your furnace filter is clean or changed regularly. When the temperatures drop OR we get a lot of snow, checking your heating vents is very important. When it is very cold outside (like today), when your furnace vents the vapour can crystallize over the vents when it hits the cold winter air. Be sure to check the vents at least once a day to ensure they are clear, twice if you are experiencing issues with your system. 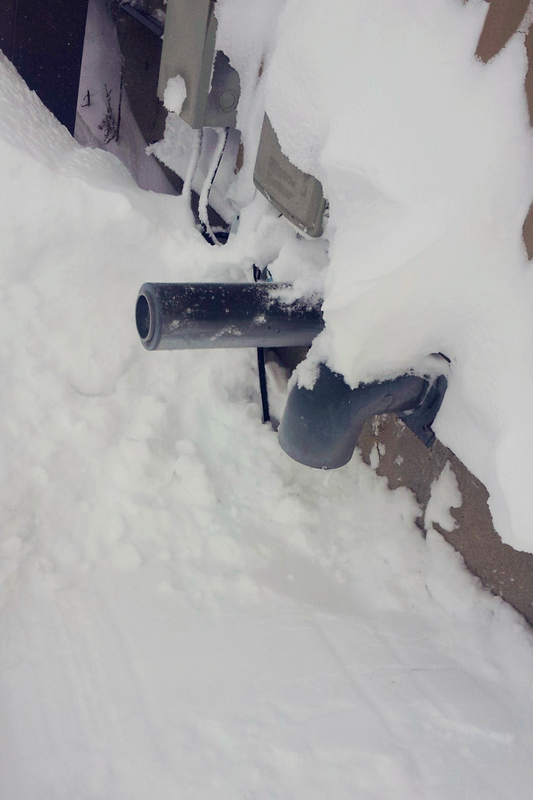 The same when we get a lot of snow, ensure your vents are clear. Why is it important to keep the vents clear? The heating system has to breathe, if it cannot bring in fresh air and exhaust the stale air your system will not be able to work properly and will shut down. The pipe pointing down is the intake, the pipe straight out is the exhaust. They do require a minimum of 12″ all around them to work properly with the heating system. When in doubt, once you’ve made sure your filter is clean, your vents are clear and have tried to reset your system… give us a call at 1-866-565-5513. ← How to prevent water pipes from freezing and breaking! Staying warm in the cold! Old man winter isn’t letting up on us yet. Be safe and stay warm!! !